BlueSpar is a medium duty, oil-free, multi-functional synthetic coolant formulated to provide increased corrosion protection on ferrous and non-ferrous metals. BlueSpar increases sump life and results in a reduction of coolant purchases and waste handling costs. 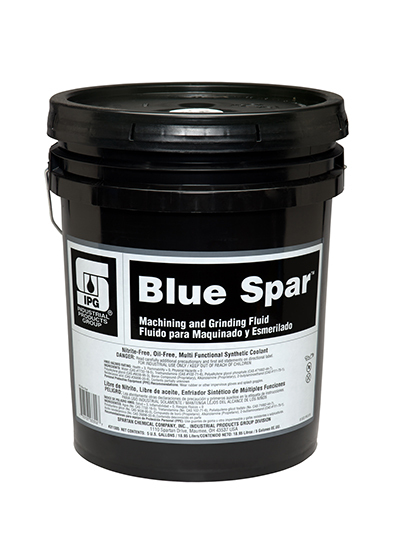 BlueSpar contains selected ingredients to increase wheel life, improve surface finish, and help prevent wheel loading.